Are you struggling to come up with unique Easter basket ideas? It can be tough to do something fresh and original every year, especially if you have more than one Easter basket to make. You’re in luck! 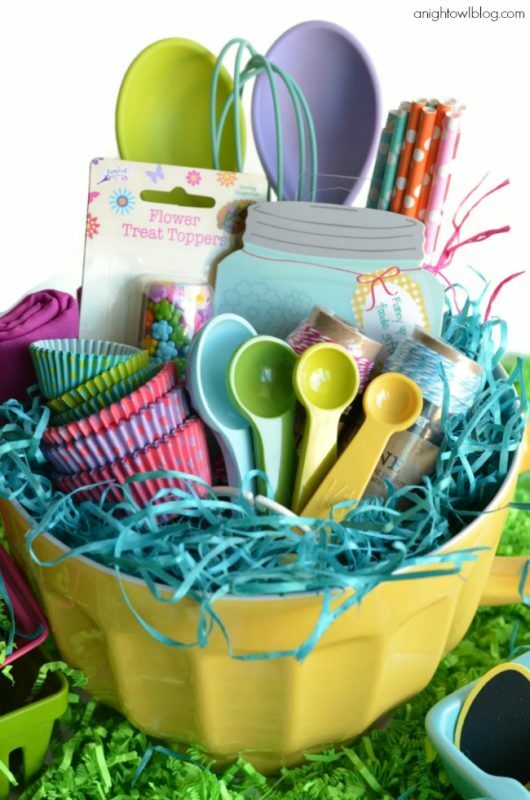 I’m going to share with you some excellent ideas which will bring new life to Easter baskets in your home. Most of these ideas are pretty practical, and there is one everyone would love to have. There’s a wide variety of ideas. 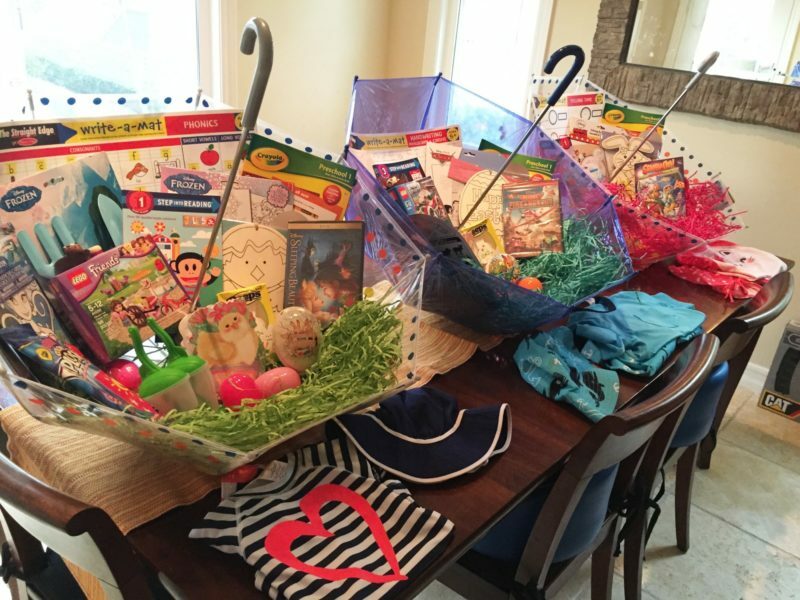 Whether you’re creating a basket for the little ones in your life, the slightly older kids, or even the adults around you, there’s a basket idea for you. If you have a tween-aged girl, they may be past the typical woven basket with fake grass sticking out of the sides. Instead, skip the basket altogether. Use a make-up bag for the basket and fill it with fun lip gloss and candy. Little boys can be a ton of fun, but they can sometimes run past the cuteness of the Easter basket and dig right into the goodies. This year make the basket stand out too. 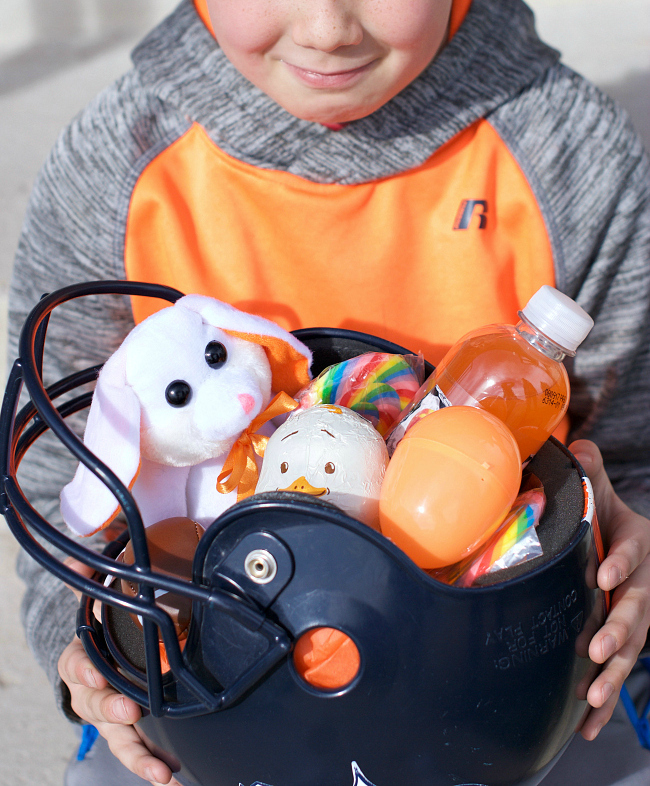 You can use a football helmet as an Easter basket idea and fill it with goodies. They’ll probably be more excited about the helmet than what’s inside. If you’re looking for a fun way to celebrate Easter with someone you love, skip the traditional items. Instead, catch their attention with this unique wreath. The wreath is constructed from faux grass. 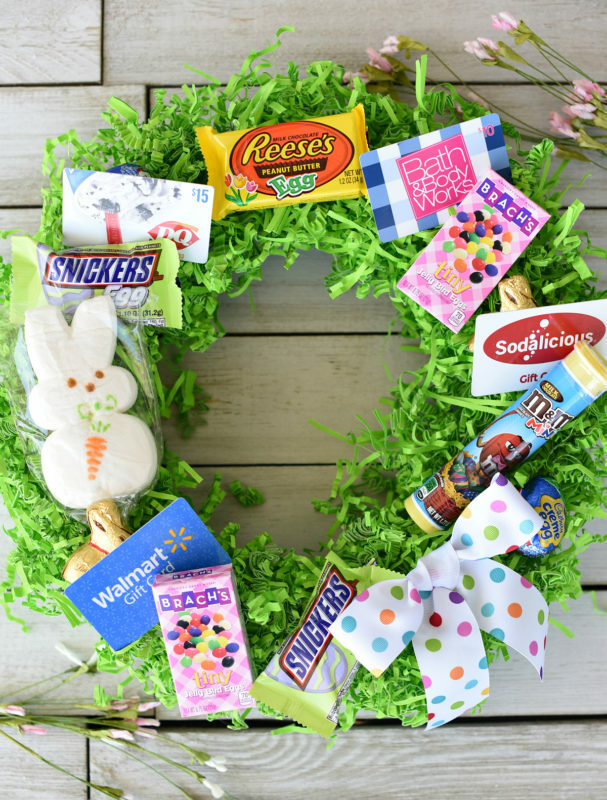 All the goodies are pinned to the wreath. This can be anything from candy to gift cards. When it’s time for Easter, we know spring has officially sprung. 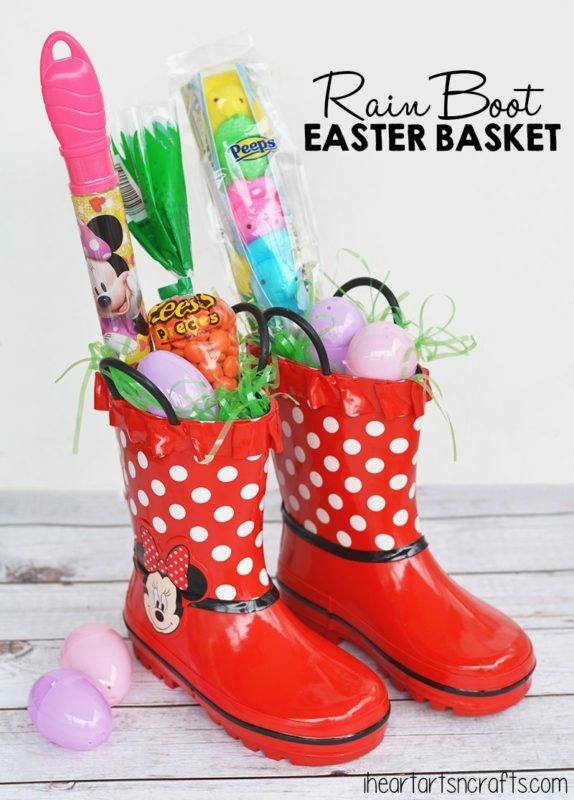 Therefore, stay with this theme and use cute rain boots as your child’s Easter basket. They can be stuffed with festive faux grass, and you can also slide a variety of candy, gift cards, toys, or a matching umbrella inside them. If you have an adult friend or relative in your life you’d like to give an Easter basket to, consider going outside of the box. 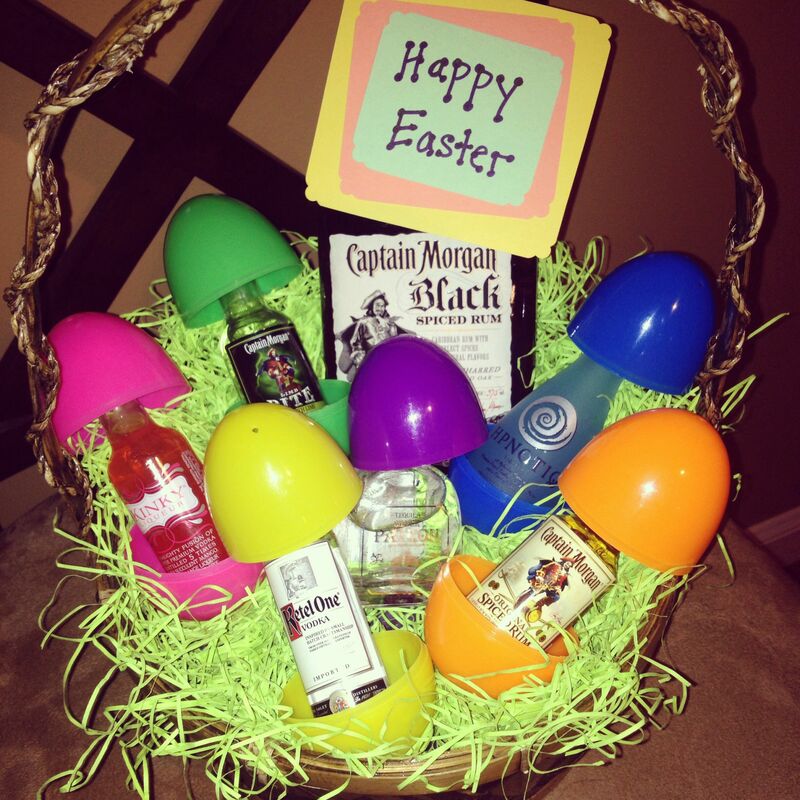 Instead of filling a basket with candy, fill a basket with liquor. If they enjoy an adult beverage every now and again, they’ll appreciate this basket. If you have a child who wants to skip over the Easter basket because they’ve outgrown it, check out this idea. Do you have a child with allergies? This can make it difficult to fill an Easter basket because they’re usually mainly filled with candy. Instead, you can find an adorable umbrella and fill it with a variety of movies, books, and small toys. 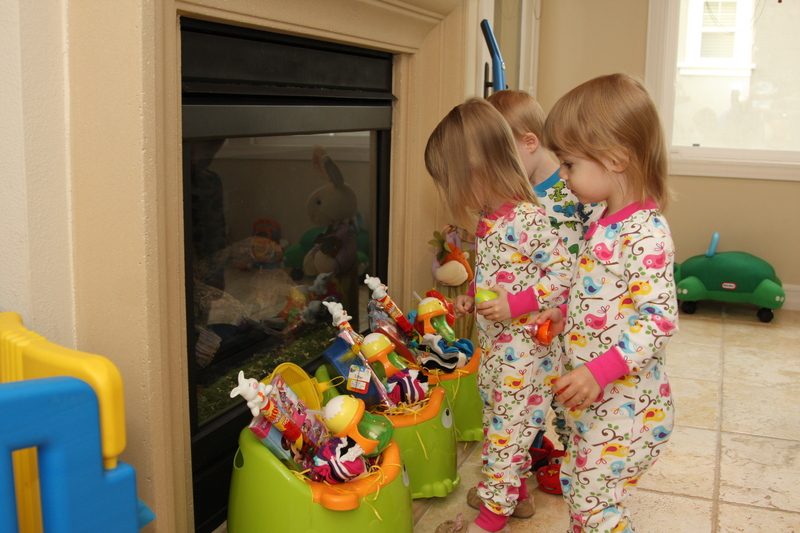 They’ll love it and not feel as though their Easter basket is any less special than a traditional basket. Is it your baby’s first Easter? Congratulations! This is a special moment you’ll remember forever, but you may be wondering what to put in a baby’s Easter basket. It isn’t like they’ll be munching on candy. 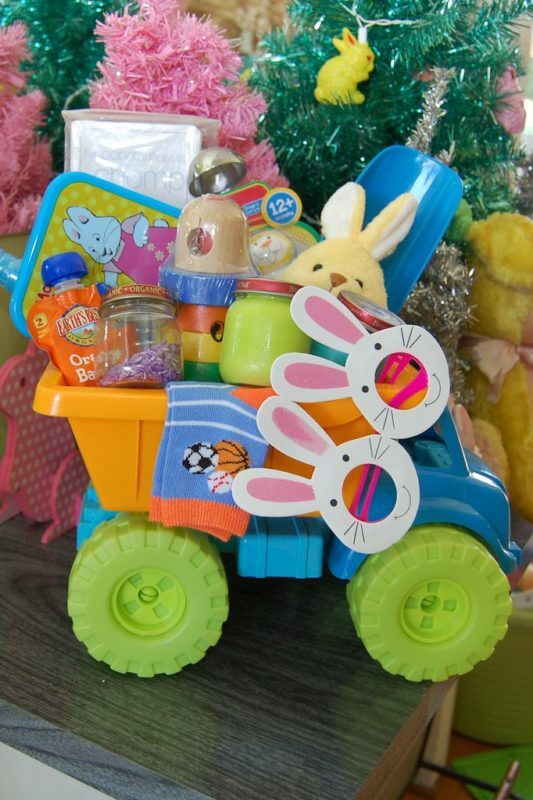 Instead, buy a baby toy (like the dump truck pictured) and fill it with baby food, teething rings, and other fun supplies. They’ll enjoy the new toys, and you’ll be purchasing essential items. If you have tiny tots, their eyes will light up when they see they have their very own kiddie pool. Don’t stop there. 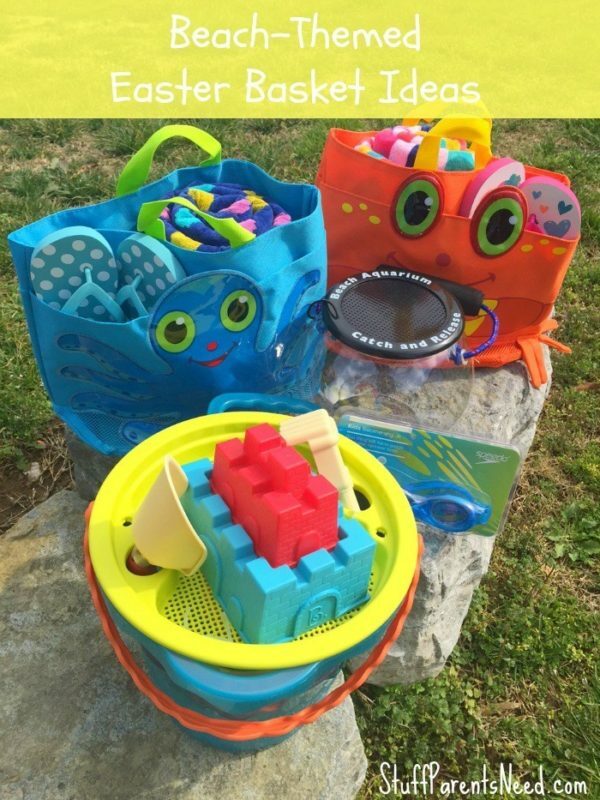 Fill the pool with lots of fun goodies for the kids to enjoy. 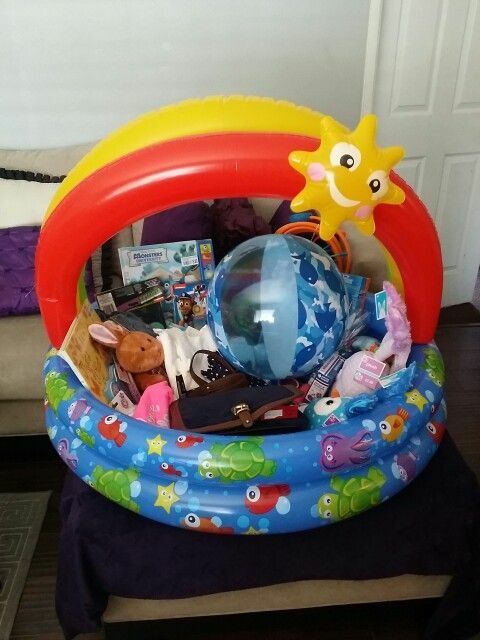 You can add fun pool toys, books, candy, and any other items you know your kids will love or need for this summer. I love giving practical gifts which are fun too. 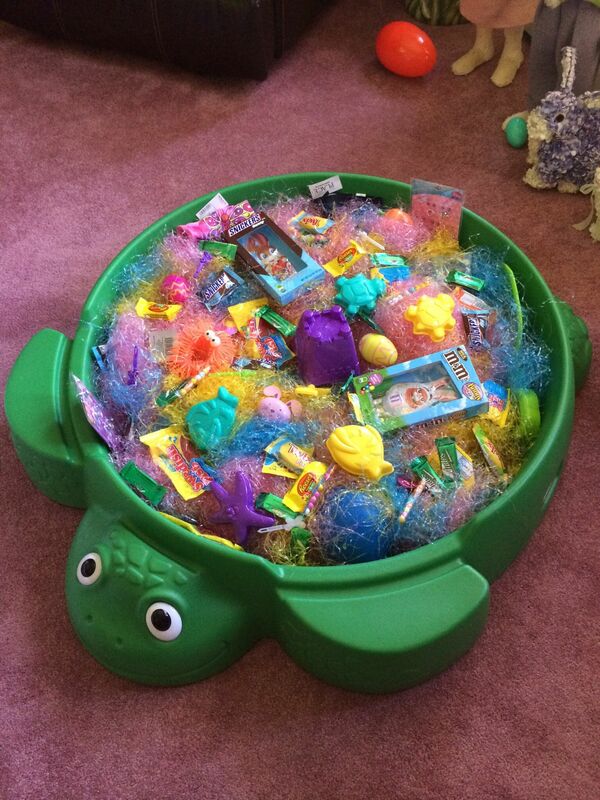 How much more practical can you get than getting your toddler a potty seat for an Easter basket? Not only is this a fun way to introduce potty training, but you could fill the potty with fun things for the kids to do while they’re on it. 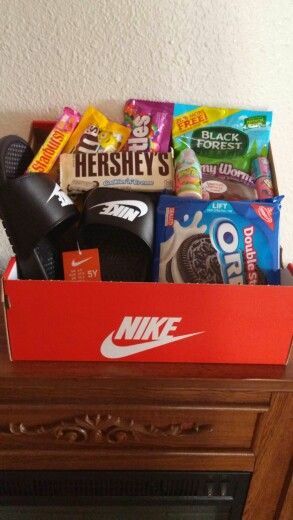 This would be an Easter basket my husband would love to get. If you have someone in your life who loves their tools, why not incorporate it into their basket? 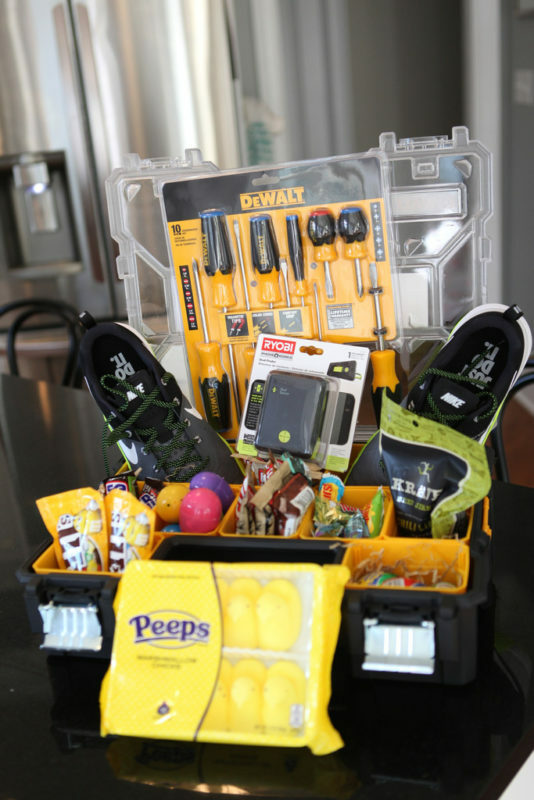 You can purchase a toolbox and fill it with everything from tools, to shoes, to even a few candy pieces or a gift card. Do you have someone in your life who loves to cook or bake? You can buy them a fun mixing bowl and fill it full of goodies they’d use in the kitchen. This is a wonderful idea to spur on a hobby, or if you know they struggle with diabetes or a food allergy, this could help keep them on track over the holiday. Kids are all about Fortnite right now. If you have a gamer on your hands, consider making them this unique and inexpensive Easter basket. You can purchase each of the items from a discount store. Plus, the tutorial offers unique labels to go along the with the Fortnite theme. Little ones love their sandboxes. Why not incorporate it into their Easter basket? You can use the sandbox as the actual basket. From there, fill it with candy, movies, books, or other small toys they could use when playing in the sandbox. Do you live near the beach or are you planning on making a beach trip this year? Use the beach bag as the Easter basket idea. You can fill the beach bag with items for the beach such as flip flops, a beach towel, sunglasses, or beach toys. This will make a great Easter basket if you spend your summers at the beach or by the pool. 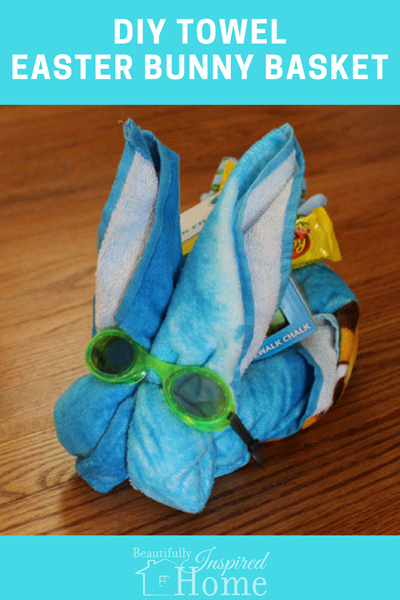 Instead of using a basket, fold a new beach towel into a bunny shape. Fill the towel with candy, water gear, or new flip flops. Top it off by adding goggles to the front of the bunny. If you’re tired of the traditional Easter basket, you now have 16 different ways to change things up a bit. Some of the ideas will work well for your youngest kids. Some basket ideas will do fine for your older kids or even the adults in your life. Be creative this Easter season while also giving practical gifts your loved ones will enjoy. And consider making these Easter Crafts with your kids so they too can enjoy the fun of creating a gift for someone else. 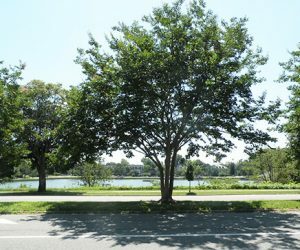 The Only Tree Every Homesteader Should Grow in Thier Own Backyard! 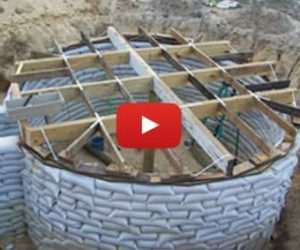 How to Build a Small Root Cellar in Your Backyard for Only $400! 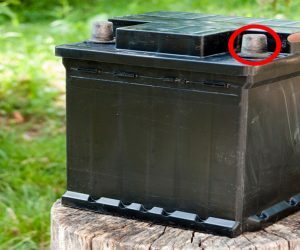 How to Bring Any Dead Battery Back to Life...(Again) Just Like New!